Bank Jobs In Mumbai | STATE BANK Of INDIA (SBI) Recruitment 2012-13 For (122) Security Officers jobs| Apply Online Between 09/01/2013 to 24/01/2013..
Are you interested to work in STATE BANK Of INDIA (SBI)? Did you see the details of STATE BANK Of INDIA (SBI) Recruitment 2012-13 For (122) Security Officers , jobs ? Then Be Ready… to take a jump to Bank Jobs in India through STATE BANK Of INDIA (SBI) Jobs across India. Nice… please go through the details of STATE BANK Of INDIA (SBI) Vacancies of (122) Security Officers posts as under. Age : 35 years as on 01/10/2012. Age relaxation as per Govt. rules. Application Fee: Rs. 50/- (for SC/ST/PWD Rs.50/- only) to be deposited in any branch of SBI by a prescribed deposit slip and get receipt. Details of the payment should be entered in online application form. How to Apply: Apply Online at SBI website from 09/01/2013 to 24/01/2013. Bank Jobs In Mumbai| IBPS CWE for Specialist Officers Cadre (SPL-II)Jan-2013| Apply Online between10-01-2013 to 28-01-2013. Nice… please follow the details of IBPS conducts Common Written Exam (CWE) for Specialist Officers Cadre (SPL-II) Exam 2013 as under. Please visit http://www.ibps.in for all the details available and to submit the application online from 10/01/2013 onwards. Bank Jobs In West Bengal| Bangiya Gramin Vikash Bank Recruitment 2012-13 For (141) Officer Scale-I,II,III and Office Assistant (Multipurpose) jobs| Apply Online between18-01-2013 to 29-01-2013. Are you interested to work in Bangiya Gramin Vikash Bank ? Did you see the details of Bangiya Gramin Vikash Bank Recruitment 2012-13 For (141) Officer Scale-I,II,III, and Office Assistant (Multipurpose) jobs ? Then Be Ready… to take a jump to Bank Jobs in India through Bangiya Gramin Vikash Bank Jobs across India. Nice… please go through the details of Bangiya Gramin Vikash Bank Vacancies of ( 141) Officer Scale-I,II,III and Office Assistant (Multipurpose) posts as under. How To Apply: Candidates are required to apply online through Bank’s website http://www.bgvb.co.in. No other means/ mode of application will be accepted. 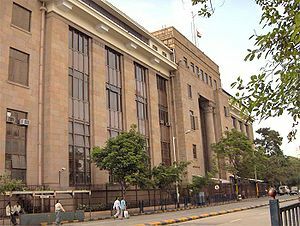 Bank Jobs In Maharashtra | Reserve Bank of India (RBI) Recruitment 2012-13 For Legal Officer jobs| Apply Online Before February 12, 2013. Are you interested to work in Reserve Bank of India (RBI)? Did you see the details of Reserve Bank of India (RBI) Recruitment 2012-13 For (04) Legal Officer jobs ? Then Be Ready… to take a jump to Bank Jobs in India through Reserve Bank of India (RBI) Jobs across India. Nice… please go through the details of Reserve Bank of India (RBI)Vacancies of (04) Legal Officer posts as under. Pay Scale: Rs. 21,000/- p.m.
Educational Requirements: Bachelor’s Degree in Law recognized by the Bar Council of India for the purpose of enrolment as an Advocate with a minimum of 50% marks or equivalent in the aggregate of all semesters/years. Qualifications: (a) Bachelor’s Degree in Law with 60% marks or equivalent in the aggregate of all semesters/years or Master’s Degree in Law. (b) Proficiency in computer applications. Experience Requirements: At least two years’ experience as an Advocate or as a Law Officer in the Legal Department of a large bank/financial institution /statutory corporation /company and/or legal associate /legal consultant in an Advocate’s or Solicitor’s office or in the Legal Department of Central/State Government or as teacher in law in a Law College /University. Desired Skills: (i) Dealing with references on legal issues received from various departments of the Bank and its associate institutions, which are mainly related to the interpretation of various statutes such as Reserve Bank of India Act 1934, Banking Regulation Act 1949, Foreign Exchange Management Act 1999, Companies Act ,1956 etc. (ii) Preparing initial drafts of legislation administered/to be administered by the Bank. (iii) Preparation of drafts of pleadings and comprehensive instructions/briefs to counsel in connection with litigation involving the Bank and its associate institutions. (iv) Appearing before Conciliation Officers, Labour Courts, Tribunals etc. on behalf of the Bank. How To Apply: Candidates can apply for the post either on the prescribed Application (OFF-LINE) or submit the application ON-LINE followed up by sending a printout (hardcopy) of the online application to the Board’s office.